Hmmm...Come to think of it, isn't that just a kissing cousin to the idea that in speakers the various drivers should be placed in isolated compartments to prevent the backwave of one from affecting the output of another? Seems a reasonable comparison to me. The soundboard of the piano vibrates in a manner similar to the top of a guitar. When the strings are crossed, the end of the bass strings (and their bridge) are placed further from the edge of the piano, towards the middle of the soundboard. I would imagine the center of the piano's soundboard would vibrate more freely than the edges of the soundboard, which are affixed to the rim. This may enhance the response of the bass notes. There are likely pros and cons to both designs. Perhaps the crossed design might introduce unwanted overtones from the traversed strings. This is all speculation on my part. I'd like to think that Steinway & Sons and other manufacturers have studied both options at some point. 18 records for $1.00. Don't mind if I do. geralmar and bluemooze like this. Actually, the Scarlatti may be even more demanding, because it's so exposed. 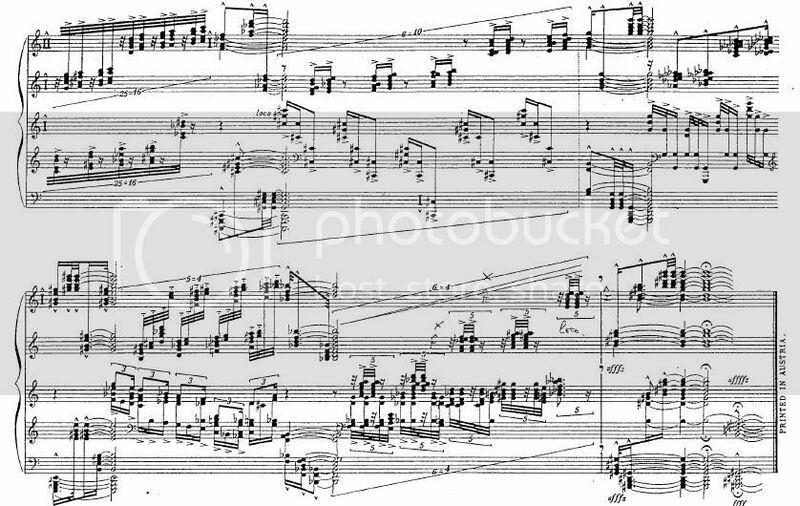 Play a wrong note in a big, thick score by Busoni and there's a good chance nobody will notice. Play one in Scarlatti, and it's right out there for everyone to hear. 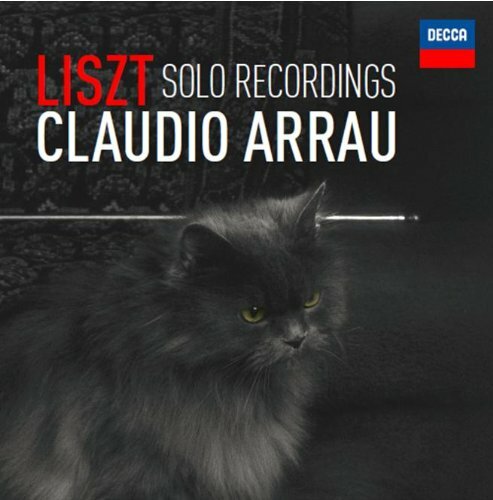 Combine that with Scarlatti's fondness for hopping all over the keyboard in rapid-fire leaps, and you have a veritable keyboard minefield. I don't know--I bet I could detect a wrong or missed note in the Coda from Sorabji's "Opus Clavicenbalisticum"! 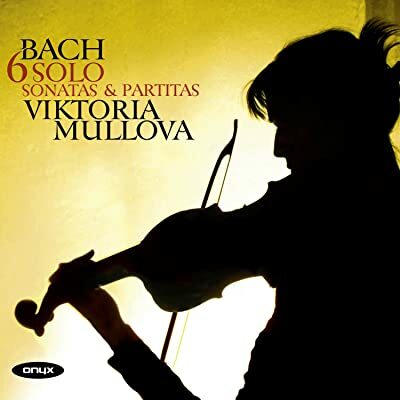 Now listening to "Bach - 6 Solo Sonatas & Partitas" performed by Viktoria Mullova on Onyx. For those of you that regularly attend opera performances, I'm curious what you think about this article by Fred Plotkin on WQXR's website. It concerns projected subtitles at opera performances. I've never been to an actual opera performance. The ones that I HAVE seen have been on DVD and I have the subtitles on all the time. I've always toyed with just watching without the subtitles just to get the full effect and to see if I could figure out what was going on and grab the emotion. Now listening to "Bach - Sonates & Partitas BMW 1001-1006" performed by Amandine Beyer on Zig-Zag. That's a typo on the cover yes? I see the current cover has been changed to "BWV." My CD has "BMW" on it; a collector's item no doubt worth millions. J.A.W. 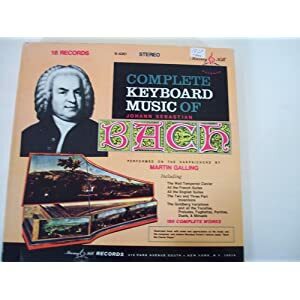 and Bachtoven like this. ToddBD and George P like this. Comic operas, like Centerola that I saw two weeks ago, wouldn't be as good with out the surtitles. You'd miss a lot of the jokes. When the Washington National Opera did Cosi fan Tutti a couple of years ago, they were very liberal with the translation and put a lot of local references in and it was very funny. I sit in the balcony so the surtitles at the Kennedy center are just above my line of site to the stage which makes them easy to read. I'm not sure how good it would be for people on the floor. They'd have to crane their neck looking up to see them and not really be looking at the stage at all. I think that could be a problem with the seat back subtitles too. Another advantage for being in the balcony is that I can see into the pit. A lot of operas, there's not a lot going on on the stage so I watch the orchestra quite a bit. Every opera in English I've been too has had surtitles. In some parts of each opera, they weren't needed, but in other parts I wouldn't have been able to pick out the words with all that was going on. Dialogue of the Carmelites was sung in English this year by the WNO and I needed he surtitles to follow what was going on. The_Windmill and bluemooze like this.